Moses Maliehe has declared his team ready for the Africa Cup of Nations Group L clash against Cape Verde in Maseru on Sunday. 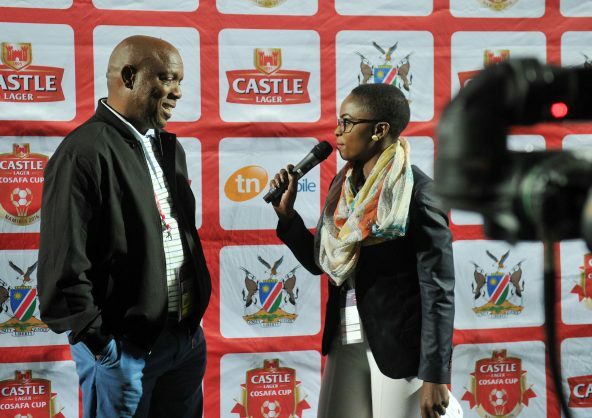 Maliehe has kept faith in his squad that clinched third place at the regional Cosafa Cup in June last year. The team, popularly known as ‘Likuena’ (Crocodiles), started their Group L campaign with a 1-1 draw away to Tanzania in June 2017. The United States-based Lesia Thetsane is unavailable for the match due to academic reasons during a scholarship from Columbia College in Missouri. “Like I had said previously, the match will be a continuation of what we achieved at Cosafa Cup in South Africa in June. It was our last competitive match and we have kept faith in majority of the players that played at the regional tournament and I’m hopeful that we will maintain the same standards when we host Cape Verde in a more important game,” said Maliehe. The Crocodiles mentor is also happy that his team’s impressive performance at the regional tournament was able to help four of his players win contracts in South Africa. The trio of Tumelo Khutlang, Luciano Matsoso and Tshwarelo Bereng were all signed by Black Leopards, while Nkoto Masoabi joined Real Kings in the National First Division. “I have said it before that for us to do well as a country, we need to have our players playing in bigger leagues across the continent to be more competitive. It means a lot to me as the national team coach that several of our players were able to attract international scouts after a good performance at the regional tourney,” he added. Uganda will face regional foes Tanzania in the other Group L match in Kampala on Saturday. Goalkeepers: Likano Mphuthi (Lesotho Defence Force), Sam Ketsekile (Lesotho Defence Force), Mohau Kuenane (Lioli). Defenders: Kopano Tseka (Lioli), Basia Makepe (Lesotho Mounted Police Service), Nkau Lerotholi (LMPS), Bokang Sello (Bantu), Mafa Moremoholo (Lioli), Bokang Mothoana (Kick4Life). Midfielders: Tsepo Toloane (Lesotho Defence Force), Hlompho Kalake (Bantu), Luciano Matsoso (Black Leopards, South Africa), Mabuti Potloane (Matlama), Jane Thabantšo (Matlama), Lepheane Mofolo (Lesotho Defence Force), Thetso Posholi (Lesotho Correctional Service), Tshwarelo Bereng and Tumelo Khutlang (Black Leopards, South Africa).